FREE bizhub copiers for schools! Find the latest digital KONICA MINOLTA Colour copiers and KONICA MINOLTA black & white photocopiers at incredibly low prices! 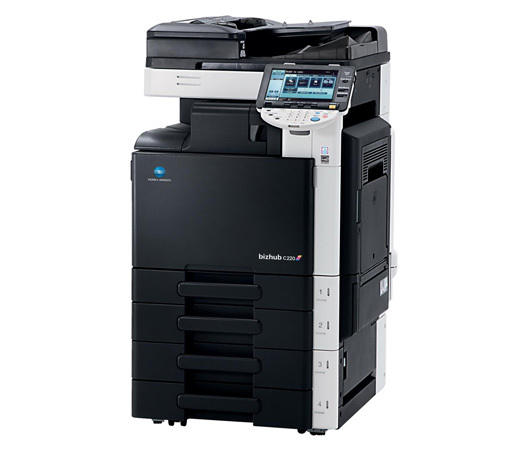 Photocopiers Direct brings the best KONICA MINOLTA copiers for digital colour and black & white photocopying, as well as fax machines and laser fax machines. as well as Document Management systems, all at incredible prices. Providing you the best deals on copier sales and service Customer service is the No: 1 priority at KONICA MINOLTA OFFER. We also offer a FREE copiers for your school! You can have one of the latest Konica Minolta colour photocopiers delivered and installed at your school or college completely FREE. All you pay for is the colour or b/w copies and prices start from 4.86 pence per colour copy! FREE COPIERS FOR SCHOOLS . We only sell products of high standard that are reliable and serviceable. 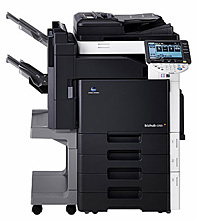 We currently service KONICA MINOLTA analogue and KONICA MINOLTA digital copiers and KONICA MINOLTA Facsimiles. At KONICA MINOLTA Offer we offer prompt and reliable service to all of the UK. As an KONICA MINOLTA Authorised Agent we specialise in fast sales and service completion, holding substantial stock of spare parts, consumables and new machine inventory. We have partnered with KONICA MINOLTA Equipment and can offer full payment facilities via Siemens Finance or through your broker as we offer rental, lease and straight out purchase options. From Photocopiers Direct you will get KONICA MINOLTA Service Direct. We adhere to high standards in customer care and attention. For timely and exact service and repairs of KONICA MINOLTA Multifunctional KONICA MINOLTA Digital Photocopier and Faxes contact us here. For urgent response Book a Service Call here. KONICA MINOLTA Bizhub Colour C220 Black and white and colour at 22 pages/min.